The 4th Annual Deep Learning in Finance Summit Summit, London brought together data scientists, data engineers, CTOs, CEOs & leading financial corporations to explore the latest advancements in deep learning algorithms and models, and their most cutting-edge application in the financial sector. We heard from the likes of Monzo, Experian, BBVA and the University of Oxford on topics including stock market prediction, financial markets, algorithmic fairness and deep learning infrastructure. Each year, RE•WORK brings the Deep Learning Summit to San Francisco for the biggest event on the calendar. The 5th annual Deep Learning Summit in 2019 featured 10 stages including the Futurescaping Stage which was focused on discussing the future of AI. World-leading experts shared their work from organisations including Square, Google, Stanford University, and many more. Session topics include: 'Human-Centric AI: Interpreting and Adjusting to Human Needs in Human-Machine Collaboration', 'Should you be Hiring a Chief AI Officer? ', 'Growth Across Borders: Navigating International Expansion for AI Companies', and more. Each year, RE•WORK brings the Deep Learning Summit to San Francisco for the biggest event on the calendar. The 5th annual Deep Learning Summit in 2019 featured 10 stages including the Ethics & Social Responsibility Stage which was dedicated to exploring the ethical considerations and responsibility of stakeholders deploying AIs, including recommendations on positive next steps to put reflections into practice for the common good. World-leading experts shared their work from organisations including the Ethical AI Team at Google, Stanford University, Aira, Intel and many more. Session topics include: 'Understanding the limitations of AI: When Algorithms Fail, 'Ethical AI - Harnessing Automation for a Just World', 'Three Principles for the Responsible Use of AI', and many more. 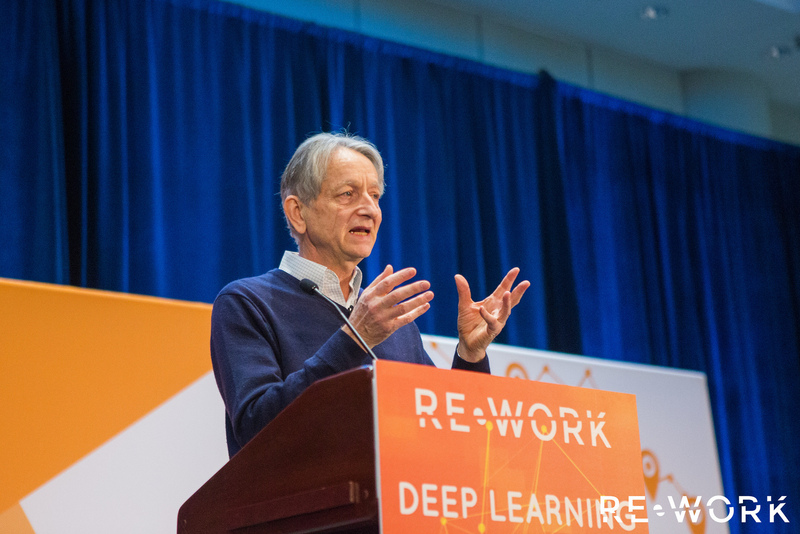 Each year, RE•WORK brings the Deep Learning Summit to San Francisco for the biggest event on the calendar. The 5th annual Deep Learning Summit featured the latest technological advancements and industry applications of deep learning from world-leading experts including Google Brain, OpenAI, Facebook, Uber AI Labs and many more. Presentation topics includes: Applying ML & NLP in Google Ads, Deep Learning for Incremental Object Detection and Visual Dialog, Deep Robotic Learning, Applying Deep Learning to Article Embedding for Fake News Evaluation, and many more. Each year, RE•WORK brings the Deep Learning Summit to San Francisco for the biggest event on the calendar. The 5th annual Deep Learning Summit in 2019 featured 10 stages including the Industry Applications Stage which was dedicated to exploring the practical applications of AI and how industry leaders, including Dropbox and Facebook, are breaking through challenges in their organisations with AI. Session topics includes: 'GE Power Business & Digital Transformation', 'Breaking Through Challenges in Industry Series: OCR at Scale at Dropbox', 'Taming the Deep Learning Workflow', 'Bringing Research And Production Together With PyTorch 1.0 1', and many more. Each year, RE•WORK brings the Deep Learning Summit to San Francisco for the biggest event on the calendar. The 5th annual Deep Learning Summit in 2019 featured 10 stages including the AI Assistant Stage which was dedicated to exploring the latest advancements in AI Assistants. World-leading experts shared their work from organisations including Uber AI Labs, Facebook, Google, Alexa AI and many more. Presentation topics includes: 'Past, Present, and Future of Conversational AI', 'Adding Structure to Spoken Language Understanding', 'Building Neural Conversational Machines at Scale', 'Why Aren't Our AI Assistants Smarter? ', and many more. RE•WORK's inaugural Machine Learning for DevOps Summit took place in Houston to explore the biggest trend affecting DevOps 2018 and beyond; the application of Machine Learning. Hear the most cutting-edge advancements in research from academia and use cases from industry on topics including CI, CD & Machine Learning, Forecasting Risk, Cloud Services Dependability and AI DevOps. 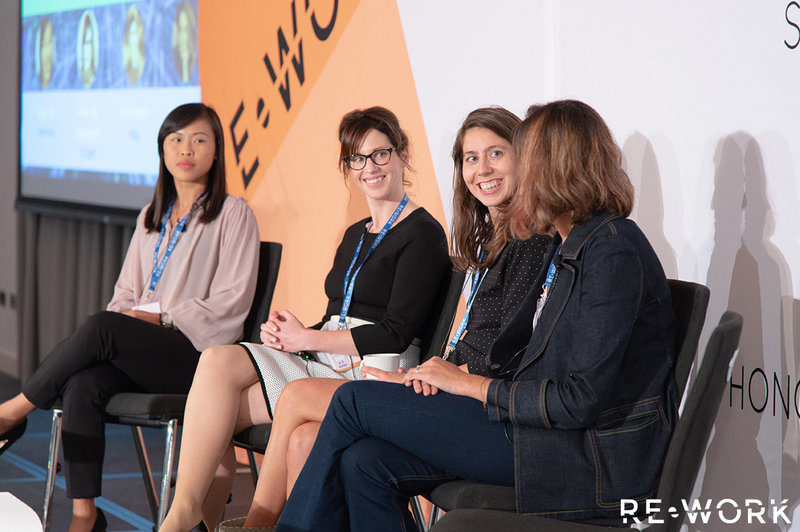 In November 2018 RE•WORK's inaugural Applied AI Summit took place in Houston and explored how leading innovators and companies are leveraging AI to solve problems in enterprise. Hear case studies from NASA, Coursera, Shopify & Hitachi Vantara on topics including, scaling AI, creating value from AI and discover the latest on how they are applying AI in business. This October saw the Deep Learning Summit return to Canada, due to popular demand, for the 20th global Deep Learning Summit. Discover advances in deep learning algorithms and methods from the world's leading innovators. Learn from industry experts in speech & pattern recognition, neural networks, image analysis and NLP. Explore how deep learning will impact healthcare, manufacturing, search & transportation. Presenting companies include Deep Genomics, UCLA, M12, Apple, CBC, Google Brain, Snap Research and more. 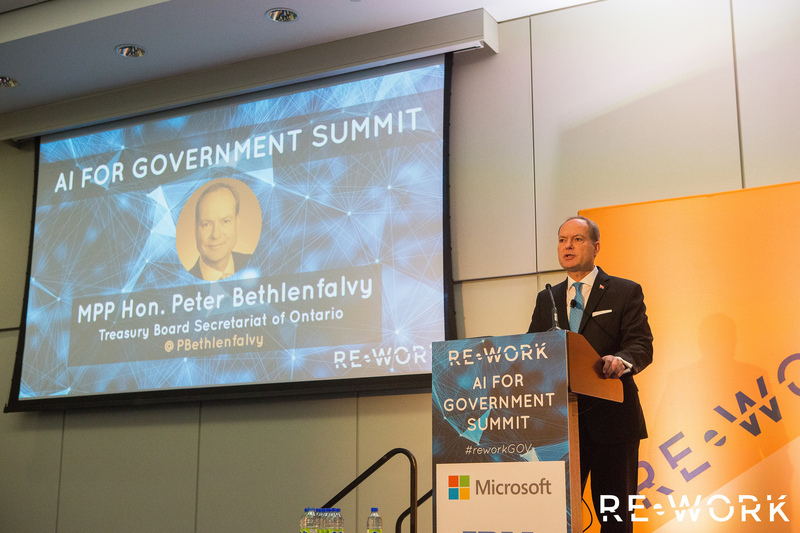 This October saw the inaugural AI for Government Summit take place in Toronto, held alongside the annual edition of the Canadian Deep Learning Summit. Presenting companies include Treasury Board Secretariat of Ontario, International Labour Organization, The Future Society, Algorithmia, The World Bank, Google Brain, University of Toronto, City of Toronto, Huawei and many and more. The 18th global Deep Learning Summit and the 5th global Deep Learning in Healthcare Summit returned to London, joined by full two days of interactive workshops. This event was expanded due to popular demand and brought together over 600 attendees to explore the latest advancements and cutting-edge AI research. The 3rd annual and 5th global Deep Learning Summit in Healthcare will be returning to London with a 2-day event to explore the latest advancements in deep learning technology and the impacts its application has on Healthcare in society. The AI in Finance Summit, New York, brought together data scientists, data engineers, CTOs, CEOs & leading financial corporations to explore the impact of machine learning & deep learning in the financial sector. We heard from the likes of Morgan Stanley, National Bank of Canada, Mastercard and ING Bank on AI applications including bond trading tools, world trade, stock market prediction & chatbots. RE•WORK returned to Boston for the 4th annual Deep Learning Summit which featured the latest technological advancements and industry applications of deep learning from world leading experts including Google, Twitter, Amazon, Mozilla, Netflix and many more. Presentation topics includes: Deep Learning Infrastructures and Frameworks, Adversarial Learning for Text-to-Image Synthesis, Deep Learning for Recommender Systems, Neural Networks for Forecasting Demand, and many more. The inaugural AI in Industrial Automation Summit took place in San Francisco for 2 days of exploration of the latest advancements in AI in industrial settings and the impacts their application can have. We heard from the likes of Hitachi, PepsiCo, Boeing Research, Caterpillar and NASA on topics covering Precision Agriculture, Robotics, Manufacturing, Industrial Internet and much more. RE•WORK returned to San Francisco once again but this time with the inaugural Deep Learning in Robotics Summit for 2 days of exploration of the technical advancements and applications creating the next generation of smart robots. We heard from the likes of OpenAI, Google Brain, Facebook AI Research and Uber AI Labs who covered topics including Human-Robot Interaction, Imitation Learning, Robotic Grasping, Reinforcement Learning and much more. Discover advances in machine learning tools and techniques from the world's leading innovators across industry, academia and the healthcare sector. Learn from the experts in speech & text recognition, neural networks, image classification and machine learning from healthcare practitioners, professors, data scientists, engineers and CTOs. 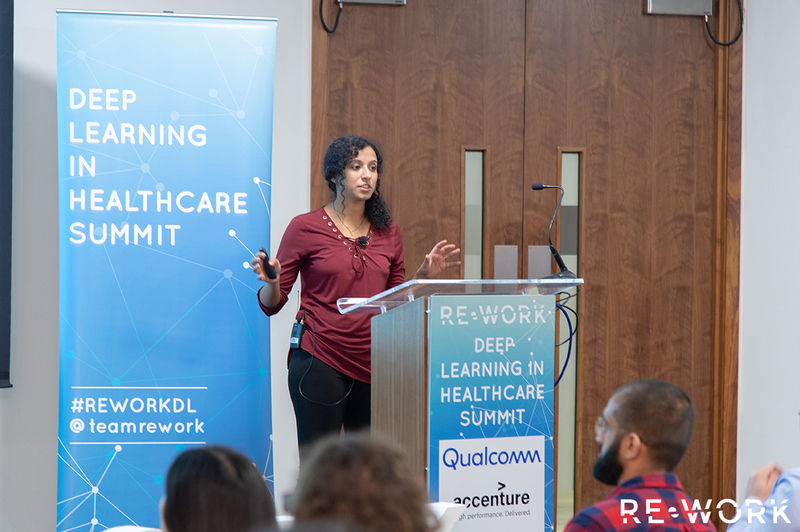 Join us next time, and register for the upcoming Deep Learning in Healthcare Summit in London this September 20 - 21 <a href="https://www.re-work.co/events/deep-learning-in-healthcare-summit-london-2018"> here </a>. The inaugural Machine Intelligence Summit featured the latest advancements in machine learning, AI and deep learning including NLP, recommender systems, computer vision and open source ML methods. Presentations included case studies, real-world examples and key insights from leading industry including NASA, eBay, Google, HSBC, DHL and many more. Join us next time, and register for the upcoming Deep Learning Summit in London this September 20 - 21 <a href="https://www.re-work.co/events/deep-learning-summit-london-2018"> here </a>. Our US edition of the Deep Learning in Healthcare Summit returned to Boston for 2 days of exploration of the latest advancements of technology in healthcare and the impacts their application can have. We heard from the likes of Philips, Google Brain, IBM Watson Health, GSK and Arterys. Topics covered included Deep Learning for Drug Discovery; Highly Accurate Genomes with DNN's; Predicting Patients Future's with Deep Learning & EHR's; Clinical Natural Language Processing; Machine Learning in Radiology and much more. Join us next time, and register for the upcoming Deep Learning Summit in London this September 20 - 21 <a href="https://www.re-work.co/events/deep-learning-summit-london-2018"> here </a>. The 2nd annual Deep Learning in Retail & Advertising Summit featured the latest advancements in machine learning, AI and deep learning including recommender systems, personalisation, NLP, computer vision and data analytics. Presentations included case studies, real-world examples and key insights from leading industry including the Royal Mail, Skyscanner, ASOS, dunnhumby, Walmart Labs, Vodafone and many more. The 3rd annual Deep Learning in Finance Summit featured the latest advancements in machine learning, AI and deep learning including deep representation learning, NLP and sentiment analysis, fraud detection, decision making and much more. Presentations included case studies, real-world examples and key insights from leading industry including the Royal Bank of Scotland, HSBC, Prudential, Direct Line Group, LV=, Barclays and many more. Hear the latest in research advancements in AI Assistants & conversational interfaces. Discover how technologies such as ML & deep learning can be applied to AI Assistants & conversational interfaces to achieve deeper, more personalised one-to-one customer experiences. Hear presentations from companies including: Google Assistant, Vodafone, Airbus, First Utility, UCL and many more. Each year, RE•WORK brings the Deep Learning Summit to San Francisco for the biggest event on the calendar. The 4th annual Deep Learning Summit featured the latest technological advancements and industry applications of deep learning from world leading experts including OpenAI, NVIDIA, Google, Facebook and many more. Presentation topics includes: Deep Learning for Formal Reasoning, Predictive Vision, Deep Learning for Recommender Systems, Building Infrastructure for Deep Learning, and many more. The 11th Global Deep Learning Summit took place in Montreal for the first time on the 10-11 October with Track 1 focusing on the latest research advancements. Speakers included: Yoshua Bengio, Professor at the University of Montreal; Yann Lecun, Director of AI Research at Facebook; Geoffrey Hinton, Professor at the university of Toronto and many more. Topics explored included: reinforcement learning, meta-learning, convolutional neural networks and advancements in computer vision, visual search and deep learning architectures. The 11th Global Deep Learning Summit took place in Montreal for the first time on the 10-11 October with Track 2 focusing on the business applications. Speakers included: Hanlin Tang, Staff Algorithms Engineer at Intel; Joaquin Quiñonero Candela, Director of Applied Machine Learning at Facebook; Clement Farebeat, VP of AI Infrastructure at NVIDIA and many more. Topics explored included: introductions to deep learning for enterprise, data infrastructures, organisational transformations and applications of deep learning within healthcare, finance, retail and much more. The 3rd Annual London Deep Learning Summit took place on 21-22 September 2017. Speakers included: Ankur Handa, Research Scientist at OpenAI; Ed Newton-Rex, Founder & CEO at Jukedeck; Fabrizio Silvestri, Software Engineer at Facebook and many more. Topics explored included: reinforcement learning, word embeddings in search, advancements in computer vision and AI and ethics. The 4th Global AI Assistant Summit took place in London on 21-22 September 2017. Speakers included: Nikola Mrksic, Machine Learning Researcher at the University of Cambridge; Alan Nichol, CTO & Co-Founder at Rasa; Vijay Ramakrishnan, ML Researcher at Mindmeld and many more. Topics explored included: advancements in NLP, speech recognition and personality in AI Assistants. The Machine Intelligence in Autonomous Vehicles Summit took place in Amsterdam on June 28-29 2017. Speakers included: Sven Behnke, Head of Autonomous Intelligence Systems Group at University of Bonn; Jan Erik Solem, Co-Founder & CEO at Mapillary; and Jasmine Kent, CEO at Daedalean. Topics explored included: Autonomous Vehicles Landscape; Communication & Mapping; Computer Vision & AI Testbeds; Urban Environment & Ride Sharing; and Fleet Management & Parking. The Machine Intelligence Summit took place in Amsterdam on June 28-29 2017. Speakers included: Roland Vollgraf, Research Lead at Zalando Research; Adam Grzywaczewski, Deep Learning Solution Architect at NVIDIA; Neal Lathia, Senior Data Scientist at Skyscanner; Colin Williams, Honorary Fellow at University of Warwick; and Damian Borth, Director Deep Learning Competence Center at DFKI. Topics explored included: The Future of Machine Learning, Recommender Systems and NLP, Big Data & the Human Factor, Investing in AI, Applications is Cosmetics & Finance, and Robotics & Sports. The 2nd Annual Deep Learning in Finance Summit, London took place on June 1-2 2017. Speakers included: Michael Natusch, Global Head of AI at Prudential Plc; Oded Luria, Data Scientist at Citi; Adam Mcmurchie, SME Technician Subject Matter Expert at Lloyds Banking Group; and Giacomo Mariotti, Co-Founder & CEO at Alpha-I. Topics explored included: Financial Industry Risk; Unsupervised Learning; Autoencoders for Financial Markets; and Cyber Insurance & Deep Learning Methods. The inaugural Deep Learning in Retail & Advertising Summit took place in London on June 1-2 2017. Speakers included: Calvin Seward, Research Scientist at Zalando; Ben Chamberlain, Senior Data Scientist at Asos; and Kumar Ujjwal, Senior Product Manager Big Data & Machine Learning at Kohl's Department Store. Topics explored included: Deep Learning for Customer Insights; Forecasting & Recommendations; Human-Machine Challenges; Targeted Marketing; and Personal Data Analytics. The 3rd Annual Deep Learning Summit in Boston took place on May 25-26 2017. Speakers included: Sangram Ganguly, Senior Research Scientist at NASA Ames Research Center; Dilip Krishnan, Research Scientist at Google; and David Murgatroyd, Machine Learning Leader at Spotify. Topics explored included: Computer Vision, Reinforcement Learning, Robotics, Deep Learning in Industry, Autonomous Vehicles, and the Implications of Autonomous Systems. The 3rd Global Deep Learning in Healthcare Summit took place in Boston on May 25-26 2017. Speakers included: Junshui Ma, Senior Principal Scientist at Merck; Muyinatu Bell, Assistant Professor at John Hopkins University; Fabian Schmich, Data Scientist from Roche; and Nick Furlotte, Senior Scientist at 23andMe. Topics explored included: AI in Drug Development & Clinical Trials; Medical Imaging; E-Heatlh Data; and Trends and Opportunities in the Future Healthcare. The 11th Global Deep Learning Summit took place in Singapore on April 27-28 2017. Speakers included: Anuroop Sriram, Research Scientist at Baidu Silicon Valley AI Lab; Jeffrey De Fauw, Research Engineer at DeepMind; and Jun Yang, Algorithm Architect at Alibaba. Topics explored included: Investments in AI; Deep Learning Frameworks; Deep Learning Infrastructure; and Deep Learning for Self-Driving Cars. The Deep Learning in Finance Summit took place in Singapore on April 27-28 2017. Speakers included: Edouard D'Archimbaud, Data Scientist leading the Data & AI Lab at BNP Paribas; Edmond Chin, Data Analyst at NTUC Income; and Jackie Tan, Co-Founder of fundmylife. Topics explored included: Deep Learning in Customer Analytics; Predicting Financial Markets; InsurTech; and Deep Learning for Compliance and Credit Scoring. The second annual Machine Intelligence Summit took place in San Francisco on March 23-24 2017. Talks included: Melody Guan, Deep Learning Resident at Google Brain; Robinson Piramuthu, Head of AI – Computer Vision at eBay and; Amy Gershkoff, Chief Data Officer at Ancestry. Topics explored included: Machine Learning for Enterprise, Reinforcement Learning, Computer Vision; and NLP. The inaugural Machine Intelligence in Autonomous Vehicles Summit took place in San Francisco on March 23-24 2017. Speakers included: Charlie Tang, Research Scientist at Apple; Gaurav Kumar Singh, ML & Deep Learning Researcher, Autonomous Vehicles at Ford Motor Company; and Joan Walker, Professor at UC Berkeley. Topics explored included: Deep Reinforcement Learning for Autonomous Vehicles; Human-Robot Cohabitation; Ethics and Autonomous Vehicles; and; Deep Learning for Self-Driving Cars. The Deep Learning in Healthcare Summit in London was held on the 28 February - 01 March 2017. Over the 2 days, we heard from the likes of Ben Glocker, Medical Image Computing at Imperial College London; Neil Lawrence, Professor at University of Sheffield; Polina Mamoshina; Research Scientist at Insilico Medicine; Viktor Kazakove, Co-Founder of SkinScanner; and Daniel Nathrath, Co-Founder & CEO of Ada Health. Topics at the summit included: Deep Learning & Healthcare in Practice; Autonomous Surgeries; Deep Learning in Clinical Paraphrasing; Deep Neural Networks in Biomarker Development; Optical Coherence Tomography; Medical Imaging; Wearables in Healthcare; Healthcare Data; and Deep Learning in Cancer Diagnostics. The third annual Deep Learning Summit took place in San Francisco on 26-27 January 2017. Talks included: Brendan Frey, Co-Founder & CEO at Deep Genomics; Andrew Tulloch, Research Engineer at Facebook; Ilya Sutskever, Research Director at OpenAI; Sergey Levine, Assistant Professor at UC Berkeley and Judy Hoffman, Postdoc Researcher at Stanford Computer Vision Group. Topics explored included: NLP, Reinforcement Learning, Deep Learning in the Enterprise; Computer Vision; and Generative Adversarial Networks. The second annual Virtual Assistant Summit took place in San Francisco on 26-27 January 2017. The program included: Anjuli Kannan, Software Engineer at Google; Dennis Mortensen, Founder & CEO at x.ai; Rachael Tatman, PhD Candidate at University of Washington; and Justin Woo, Developer Evangelist at Jibo. Topics at the summit included: Virtual Assistants in Healthcare; Advancements in Deep Learning and Speech Recognition; Building Virtual Assistants; and the Personalization and Characterisation of Virtual Agents. The Machine Intelligence Summit in New York brought together data scientists, CTOs, founders and research scientists from the fields of machine learning and artificial intelligence to explore topics including: Unsupervised learning using adversarial networks; machine intelligence for driver safety; machine intelligence in food production; personalized playlists; and infrastructure for intelligent web services. Discover the latest advances in deep learning from leading innovators in the field, and explored how smart artificial intelligence will impact business & society in the future. Topics explored include: deep learning at scale and at ease; reasoning with deep learning; deep learning for the travel industry; exploring mobile architectures for scalable machine learning; and emotion recognition through embedded vision using deep learning. Discover advances in deep learning tools and techniques from the world's leading innovators across industry, research and the financial sector. Sessions include: deep learning in trading; DNNs for real-time market predictions; the use of blockchain in finance; and finbots for banking. Applying AI & deep learning to create chatbots & conversational interfaces to create deeper, more personalised one-to-one customer experiences. Topics explored included: modeling personality in a chatbot; the transformation of digital consumer service; which verticals will be disrupted next by chatbots; and humanising virtual assistants. The Deep Learning Summit brought together leading industry, startups and academic pioneers, to explore the latest advancements in deep learning as well as applications in industry, such as healthcare, manufacturing and transport. Topics explored included: deep learning for facial expression analysis; deep tracking; 3D printing with autonomous robotics; and in-depth interviews with DeepMind Research Scientists. The Machine Intelligence Summit in Berlin brought together experts from machine learning and artificial intelligence to explore topics including: natural language interfaces; RNN models; deep learning for drug discovery; advances in robot task planning and grasping; computer vision and next-generation drones; and AI for creativity. Explore the impact of image & speech recognition as a disruptive trend in business and industry. How can multiple levels of representation and abstraction help to make sense of data such as images, sound, and text? Hear the latest insights and technology advancements from industry leaders, startups and researchers including sessions on: building energy-efficient accelerators for deep learning; deep learning in production at Facebook; deep learning for representation and reasoning from natural language; deep learning for biodiversity conservation; and mobile video object detection. The Connected Home Summit showcased the next generation of home automation devices, powered by the internet of things, connected devices, low cost sensors, speech recognition and virtual assistants. Sessions included: Robots and the future of smart home innovation; smart metering and gridless energy markets; smart water monitoring; social robots in the home; and intelligent conversational agents. The Deep Learning in Healthcare Summit in London was held on the 06-07 April 2016. The program included: Hiba Saleem, Director of Doctorpreneurs; Neil Lawrence, Professor at University of Sheffield; Brendan Frey; Co-Founder & CEO at Deep Genomics; David Clifton, Associate Professor of Engineering Science at University of Oxford; and Ali Parsa, CEO at Babylon Health. Topics at the summit included: Deep Learning & Healthcare in Practice; AI in Drug Development & Clinical Trials; Data Efficiency & Personalised Medicine; Medical Imaging; Personal Health Assistants; and Deep Learning with Mobile Devices.